By Yonhap　Jan 3, 2018　－Former Prime Minister Chung Un-chan was formerly unveiled as the new head of South Korean professional baseball Wednesday. 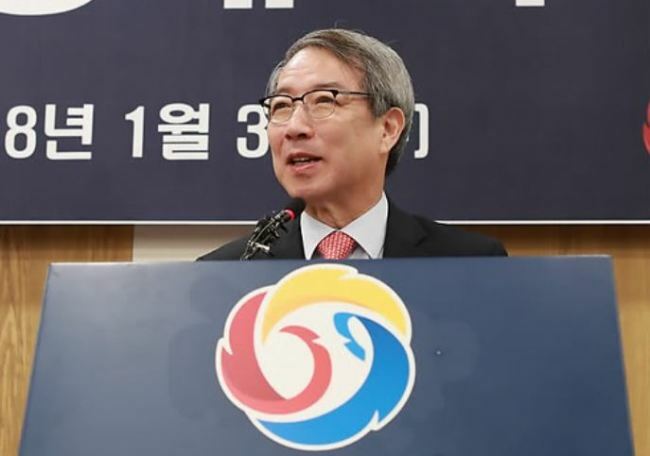 The Korea Baseball Organization held an inauguration ceremony for its new commissioner in Seoul, as Chung replaces Koo Bon-neung, a corporate executive who had been the commissioner since 2011. Chung's term is three years. Chung, 70, was nominated by the KBO's board of directors - made up of the 10 club presidents, Koo and KBO's Secretary-General Yang Hae-yong　on Nov. 29 last year. The board unanimously advanced Chung's nomination to the general assembly, made up of the club owners. And on Dec. 11, Chung earned more than 75 percent of support necessary from those owners to become the new KBO commissioner.